Many people who have never attended a funeral before wonder exactly how long a funeral service will last. Perhaps due to the discomfort often experienced with group mourning, people like to know exactly how long the funeral service will be. Unfortunately, there is no concrete answer to this question. All funerals, like all families, are different. When it comes to mourning, everybody handles things differently. However, there are general timelines that you should know so you can plan your time and manage your expectations of the day. Typically, a funeral service will be about one hour long, sometimes followed by a longer reception for mourners to mingle and comfort one another. Depending on the family's beliefs, a funeral could last several hours. More informal funerals can be as brief as 20 or 30 minutes. In some cases, funeral services are ongoing, and may even take months to conclude. 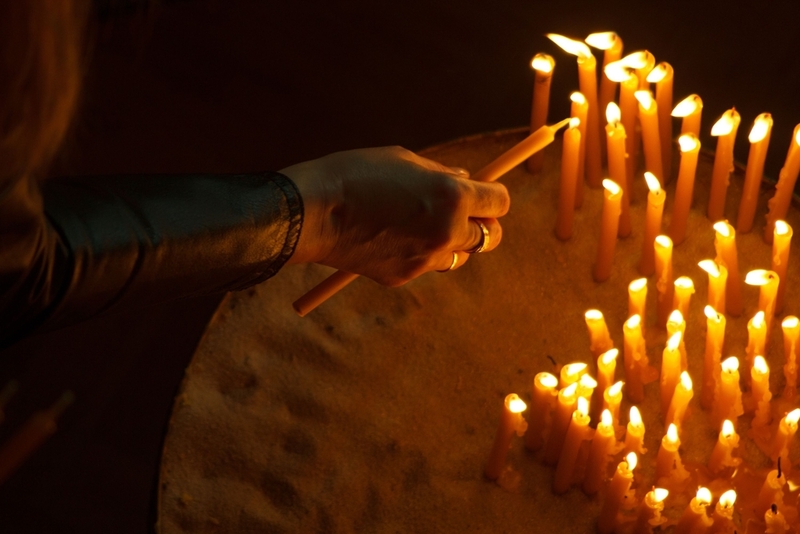 Depending on the customs and beliefs associated with certain religions and cultures, death anniversaries may hold significance. When the death of a Catholic is imminent, a priest will visit the ailing person to deliver the last rites. Following the death, there are further special rites by a priest, and then the funeral planning can begin. Catholic funerals are not permitted to take place on certain holy days, such as those leading up to Christmas, and during the 40-day period of Lent. Because Catholics are typically buried, as opposed to cremated, the first funeral event is usually a wake or viewing. Attendance is usually optional, as many folks prefer to remember a deceased loved one as they were in life. Also known as a visitation, this event can be a drop-in, or a full, formal Catholic Mass, or anything in between. The family hosting the visitation will usually give information about timing, but prepare to sit through a full Mass if none has been provided. This event could take several hours, as the visitation is the time for loved ones to eulogize about the life of the deceased person. The funeral service itself will usually be held in a Catholic church, with a priest presiding over the ceremony. Deacons and other church staff may participate in the ritualistic funeral service, as well as laypeople as pallbearers, ushers, musicians and other aids. The entire service may take well over an hour, so be prepared to sit for some time when you enter a Catholic funeral. If you do have to leave during the funeral, get up and leave quietly, without attracting too much attention. Following the service, a Catholic funeral usually includes an interment, in which the deceased person is lowered into the ground. There is prayer during this time, and close members of the family may be invited to lower the first clods of earth onto the coffin. In all, a Catholic funeral can take up the better part of a day, and last over a period of several days when you factor in the visitation. Buddhist funerals usually have up to three rites relating to funeral processions for the respectful departure of the deceased person. Each of these can take up to 45 minutes, with the mourning entire funeral lasting up to two hours. Since Buddhists believe that life and death are a part of a circle, called Samsāra, they believe strongly in reincarnation. The funeral processions are treated as intermediary assistance to ease the deceased person's transition from this life to the next. People come and go during Buddhist funerals, except for the closest family members who stay till the end. There is no pressure to stay for the entire duration of a Buddhist funeral, though guests usually are welcome to. A funeral in the Muslim faith generally lasts no longer than a couple of hours. Muslims strongly believe in burying the dead almost immediately after the death and hence begin the funeral processions immediately. When the death of a Muslim is imminent, family and friends present pray, encouraging their loved one to say the Shahada. A bath is given to the departed loved one. Once complete, a funeral procession involving Janazah, a prayer held for the departed beloved, is conducted. Then the burial takes place, and then loved ones return to the home. This is similar to a funeral reception, in which loved ones console and support the immediate family members. Typically this reception will include recitation of prayers and verses in honor of the deceased person, to ensure easy ascendence to the heavens. Though this article only addresses three specific religions, all cultures and belief systems will have unique ways of handling death. Even within religions, the funerals will vary in length depending on the family, and the person whose life is being honored. The timelines mentioned in this article should be used as a guideline, in tandem with common sense and the instructions of the host of the funeral itself.